Can you help me solve the problem please? I have noticed that the same problem presents its own test URL. I will reply to your more recent thread. A few days ago I bought your template, but until now I can not get the contact form to work. I have followed the steps of your help PDF (http://prntscr.com/i165jp), but I do not receive any mail. Can you help me please set it up correctly? Seems like there could be a server mail setup issue which is why the e-mail are not being sent. I would need to look into this and test before I can form an opinion and find the cause. Could you please send a Private Message from the author page > contact author with temporary ftp and cpanel credentials and I can take a look. Apologies for the late reply, glad you got the contact form sorted. If you set your background to video, you should also set a fall-back image that is used for mobile devices where video autoplay is disabled (standard). If I didn’t understand the question correctly, please let me know. Does the shop icon work on this theme? I cannot seem to find where to edit it? It’s great to hear that you resolved your issue. Please let me know if I can help with anything else. According to VirusTotal.com , your plugin has the Trojan.FCWV-7 trojan. I purchased this and I want my money back. It doesn’t look like you purchased our file so I wonder if you’re using a pirated version which, often, are infected. I can assure you our official release is tested by both us and Envato so it is free of any such issues. If you did purchase, you can always apply for a refund and we’ll approve it asap, we have a 100% money back guarantee so no worries on that front. Either way, we’re here to help so please let me know what the case is. I re-scanned it in VirusTotal.com after reading your response and there is no alert for Virus or Malware now. I’m satisfied. I wouldn’t ask for a refund unless I really had a problem with it. Do you have any updates for the software? This document certifies the purchase of: ONE REGULAR LICENSE as defined in the standard terms and conditions on Envato Market. Hello, there is a serious bug in the responsive version of your template… Where you tap the info button, and then the close button, the pages get stacked on top of each other. Please check this screenshot (using your own published template) http://lajollaweb.com/screenshots/minigobug.png Can it be fixed? I am browsing it on iPhone 6. Thank you for purchasing MiniGo! I see the issue you pointed out in that image. Currently trying to reproduce the bug you pointed out and I’ll let you know as soon as I fix it. Could you please tell me about the browser you are using on your iPhone 6? Please follow our installation guide to install the plugin, hope it will help you. If you still can’t install it then I can also help you with the installation. Please contact me via the author contact page and I’ll set it up for you. Please get in touch and share a temporary access with me so I can help you with the installation. Hey, I just bought the MiniGo flat page and I didn’t see that was for a back end editor I thought was for Wordpress because is already installed on my site. 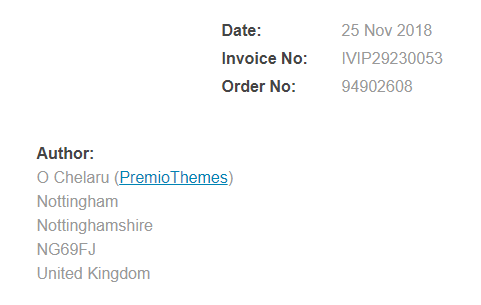 Can I return to buy the wordpress version, please? I am sorry about that. Please make a refund request and I’ll initiate the refund from my end. Thank you for you wonderful Plugin. At the moment we seem to be experiencing some strangeness. The plugin will ONLY display the content properly when we PREVIEW the page. It does look great in preview mode. Try as we might, we update, and save changes, turn the plugin on and off, it simply refuses to display the content when we browse to the website normally. Would you happen to have any idea how we might fix this? Is it something we did? Thank you for purchasing MiniGo. You can only view the plugin in preview mode in case you are logged in to the WordPress admin. 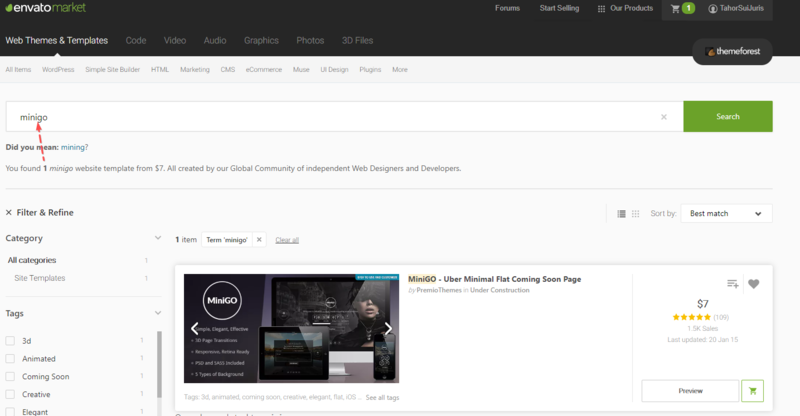 If you logout or video the site in a different browser then you will see MiniGo. If you still need help please let me know and I’ll help. What is the difference between these two products, I thought I re-purchased the same item? Thank you for writing in and letting us assist you. This is Rosee from the Customer Success Team. Let me check this out for you. Looking at this, it appears that you requested a refund for this item- MiniGO – Luxury Mini Site Multi-Purpose Placeholder WP Plugin which the author approved. This is why the “PURCHASED” tag is no longer visible beside your name. On the other hand, you purchased this item- MiniGO – Uber Minimal Flat Coming Soon Page, from the same author. You might want to leave your comments for your recently purchased item here- https://themeforest.net/item/minigo-uber-minimal-flat-coming-soon-page/6554082/comments, rather than the other item. Hopefully, this helps. Should you need further assistance, do not hesitate to write us back. You purchased “MiniGO – Uber Minimal Flat Coming Soon Page” which is an HTML version of MiniGo. On the other hand “MiniGO – Luxury Mini Site Multi-Purpose Placeholder WP Plugin” is the WordPress plugin version. Ok, would that mean that editing my site would be possible with an editor by importing my site into an editor? If you want to use the HTML version then yes a web developer can edit it inside a code editor. We have added the source files in the package. Thank you, MiniGo is an excellent design. May you suggest an application for exporting my existing modified MiniGo HTML site as a zip file, please? There is now a SHARE THIS at the bottom of my page, I did not add this, is this something new or an upgrade to MiniGo? As per your latest message, I will mark this as solved. Thank you! I LIKE the Share This, maybe I did add it. please disregard previous. I will mark this as solved. Thank you! Opps… spoke too soon. The SHARE THIS displays in Chrome but not in Firefox? Please advise how to correct. Hi, the SHARE THIS widget does not seem to be enabled on your site. I did just re-test the MiniGO demos in Firefox and the widget displays/works as intended. Please let me know if this is still something you need help with. Yes, I disabled it because it was not showing in Firefox, which one do I purchase as I purchased the wrong one, please inform to avoid any presumption. Both Chrome and Firefox side by side, displaying the SHARE THIS not working in Firefox… please help. As I have mentioned to you before already that you purchased the HTML version of MiniGo which does not have any SHARE THIS widget. Plus I also see on your website that you are using the plugin version of MiniGo and unfortunately I cannot help you with that unless you purchase that one. You can purchase MiniGO – Luxury Mini Site Multi-Purpose Placeholder WP Plugin version. I never downloaded or installed any other version, except the original one I purchased, then re-purchased. Hi there, just to confirm, the refund has been approved on our end. Thank you! Ok, now… to purchase the correct one. Hello… please provide link to complete the purchase.